Virginia de Souza completed her Masters degree in Social Science at the University of South Australia in 2003. Prior to this she completed a BA in Communication Management. 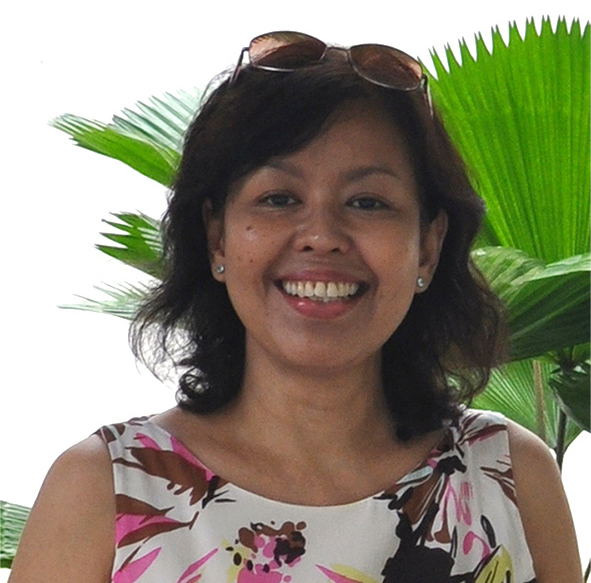 She is a registered counsellor and clinical supervisor with the Singapore Association for Counselling and she has been in practice in mental health settings for ten years. Prior to this Virginia had been in public relations and publication for 10 years. She also has a Diploma in Transpersonal Art Therapy from IKON Institute in Perth, Australia and was awarded a Certificate in Analytical Psychology in 2003 after a three year course with the Australia-New Zealand Society of Jungian Analysis (ANZSJA). She is a Certified Solution Focused Therapist and a professional member of the Canadian Council of Professional Certification since 2006. She has experience in working with clients of all ages, including children and the elderly. Her clinical experience spans across a range of mental health conditions. She has assisted clients with chronic stress, trauma, acute crises, major depression and anxiety, adjustment disorders and schizophrenia. Virginia spent over six years at the National University of Singapore where she was senior counsellor and CARE manager leading the team in crisis intervention. At NUS she trained staff in crisis preparedness and basic counselling skills and developed customised crisis training material for NUS. Currently Virginia is in private practice where she offers psychotherapy, customised training in various aspects of human development and clinical supervision. She is also attached two days a week at Creative Hub, a community mental health centre of the Singapore Association for Mental Health (SAMH), servicing beneficiaries of SAMH as well as referred and walk-in members of the public. She runs classes on Wednesday nights in guided imagery and mindfulness for the public. Virginia’s special interest lies in educating Singaporeans in Mind-Body Wellness. Her therapy models span across psychodynamic, interpersonal and developmental psychology, accommodating her individual clients’ special needs.